Burlington police release many of the people they arrest with just a citation to appear in court. But the booking process changed April 2. As part of a new program, city social workers are asking people charged with crimes about their drug use in an effort to get those who are addicted into treatment. Officials believe the initiative will help combat the opioid epidemic by offering treatment to more people, ultimately saving lives. "If we prevent one person from dying, it'll be worth it," said Jackie Corbally, the Burlington Police Department's opioid policy manager. Generally, there's at least a three-week lapse between an arrest and a first court date, according to Chittenden County State's Attorney Sarah George. If someone is released without treatment during that period, he or she might commit more crimes to feed their addiction, or even die of an overdose. Three weeks is "a lot of time for people who are really struggling," George said. The initiative is the latest implemented by a city that's gotten creative in battling the opioid epidemic, with some success. In February, officials announced that overdose deaths in Chittenden County had plummeted by 50 percent, from 35 in 2017 to 17 last year, even as the number of statewide fatalities rose slightly. Mayor Miro Weinberger, who unveiled the screening program during his State of the City address on April 1, said there is more work to do. He called the newest undertaking a "doubling down on our efforts to expand access to life-saving addiction medicines." At least initially, the department won't be able to screen every person who comes through booking. The screeners, Corbally and community affairs liaison Lacey-Ann Smith, work 9 a.m. to 5 p.m. on weekdays. Both women are trained as social workers; neither is a police officer. The city applied for, but was denied, a $200,000 grant that would have helped hire more social workers. The department hopes to eventually screen everybody who is arrested. Last year, that would have meant 1,504 people. "I think we have enough of a pilot started now that we're going to have an indication if this is something worth investing further into," Weinberger said. He continued, "I think you'll see other law enforcement departments in the region likely to expand [on the pilot], as well." The screeners ask four questions: "Have you ever felt you should cut down on your drinking or drug use? Have people annoyed you by criticizing your drinking or drug use? Have you ever felt bad or guilty about your drinking or drug use? Have you ever had a drink or used drugs first thing in the morning to steady your nerves or to get rid of a hangover?" Primary care doctors ask the same questions to identify patients with alcoholism or substance use disorder. Two or more "yes" responses merit a referral to a treatment program. Those who accept it can catch a ride with the Howard Center's Street Outreach Team to Safe Recovery, a drop-in drug treatment facility, or to the emergency room at the University of Vermont Medical Center. Both will offer a full evaluation by a doctor and, if necessary, provide a short-term prescription for treatment drugs. Those addicted to alcohol can get a lift to Act 1, a treatment program run by the Howard Center. Screeners offer the arrestees a packet of resources including fentanyl test strips, the overdose-reversing drug Narcan and information on recovery programs. Some who are arrested on serious charges are jailed; they'll also be screened, according to Corbally. She'll offer the same resources in case they post bail or get out of jail and want help later, she said. The system isn't perfect. Arrestees may refuse the screening. Some may answer dishonestly. Others screen positive for substance use disorders but turn down treatment. Corbally said she saw those flaws in the first week of the program. Five of the six people Corbally screened answered "no" to the questions, though they all acknowledged that they used substances of some kind. She gave three of them resource packets. The sixth person answered "yes" to two of the four questions — enough to trigger a referral to a treatment center. But he was headed straight to court, so Corbally just gave him her business card. Corbally viewed even those interactions as a success. "We just want people to walk away knowing there's treatment resources in the community," she said. "We're really just trying to break down all those walls that might exist prior to getting to court." Medical groups have tried to measure opioid use in the populations they serve. Earlier this year, the UVM Medical Center started screening emergency room patients by reviewing their medical records for signs of substance use. When staff noticed red flags, they followed up with more questions. Over an 11-day period that began in late February, 55 of 1,284 patients, or about 4.3 percent, showed signs of or had a history of opioid use disorder. Burlington Police Chief Brandon del Pozo said he expected the percentage of people who abuse opioids that his department processes would be even higher. The screenings, the chief said, will hopefully help answer two key questions: "What populations are we missing, and how can we connect with them?" Local law enforcement has tried other ways to approach the epidemic in a more clinical way. Last summer, Burlington police stopped arresting people for possession of buprenorphine, which is prescribed to treat opioid addiction, and George's office no longer prosecutes the crime. The Vermont legislature is currently considering a bill, H.162, that would decriminalize possession of the drug for those without a prescription. "Bupe" is more accessible than ever: Last October, Safe Recovery began offering a short-term buprenorphine script to anyone who wants it. Grace Keller, who runs the program, said she's hired three doctors who can prescribe medication. She hopes to bring on one more, partly in anticipation of more clients from the police department's screening program. An arrest can be a "captive moment" when people decide they want help, she said: "If they're ready, we want to make sure we're ready." With high-potency and potentially deadly fentanyl pervading the drug market, she said, "We all feel such a sense of urgency." 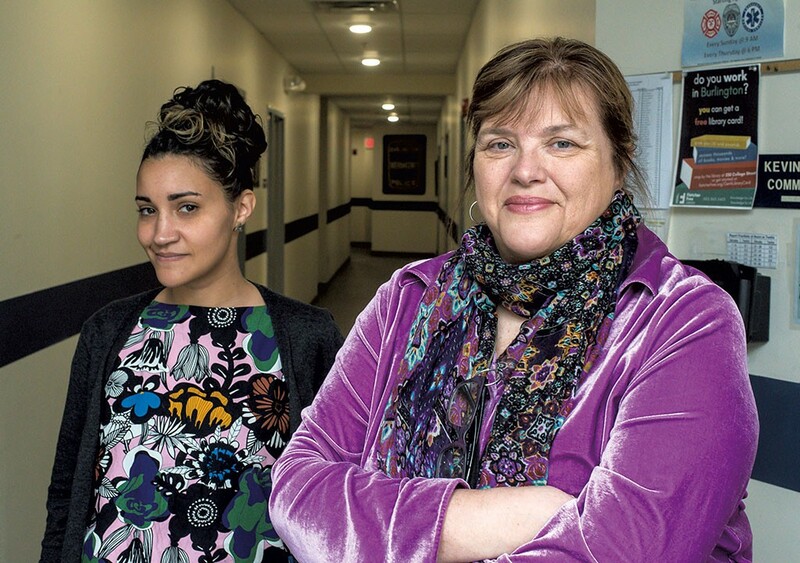 The program at the emergency room at the UVM Medical Center also offers buprenorphine to the patients who want to start treatment for addiction. Daniel Wolfson, an ER doctor who helped launch the program in February, is compiling data that he believes will show that buprenorphine on demand leads to long-term recovery — and that other emergency departments should replicate the model. "We're trying to prove that it keeps people from dying," he said. Not every program has panned out. Last year, the police department launched a "safe response team" to visit people who overdosed to offer help. But often, Corbally and her colleagues couldn't find the person. "It was cumbersome," Corbally said. The program ended after about five months. The screening concept cropped up last December, when a defense attorney mentioned during a community meeting that she sometimes preferred her client go to jail because of the better opioid treatment services there, according to Weinberger. A group of law enforcement officials and city leaders subsequently met at City Hall to discuss options. George, the Chittenden County prosecutor, told the others that the best way to get people into treatment as soon as possible "is to connect them with any potential services at the time of the arrest." Judges often encourage or compel people to take advantage of treatment services such as diversion or rapid intervention community court. And even behind bars, offenders have access to medication-assisted treatment; last year, the Vermont legislature removed many restrictions for inmates receiving the therapy. But the screening at arrest could ultimately reduce recidivism and cut the number of cases on the docket, George said. While someone charged won't be punished for declining treatment, the prosecutor said, a judge could look favorably on those who are getting help. The screenings "could minimize a lot of court resources," she said. The program is the first of its kind in the country, according to Rick Rawson, a professor of psychiatry at UVM's Vermont Center on Behavior and Health. He led an evaluation of Vermont's trailblazing hub-and-spoke system for the state's Department of Health and published the results in the Journal of Substance Abuse Treatment earlier this year. Rawson called the screening concept "remarkably progressive" for a police department — and potentially transformative for those in trouble with the law. "Every time you add a new entry point, or a new opportunity for people to access treatment ... it's seen as a positive thing," he said.